For many voluntary and community groups, transport costs can make daytrips and outings too expensive to contemplate. Now, the South Northants Volunteer Bureau (SNVB) has launched the Community Minibus scheme, which enables voluntary, community and other not-for-profit organisations to hire transport for up to 16 people at affordable rates. 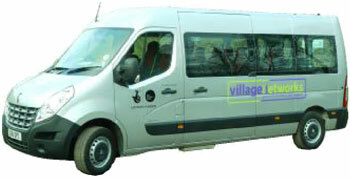 Made available for hire as part of the Lottery-funded “Village Networks” project, the Community Minibus is operated and managed by the SNVB under a Section 19 Permit issued by the Vehicle & Operator Services Agency with all the necessary insurance, mechanical checks and safeguards. The SNVB’s part-time drivers are MiDAS-trained and CRB-checked.